Looking for a fun and creative way to display and access your favorite bookmarks in webpage format? Now you can do both with MyBookmarks for Firefox. Once you have installed the extension and restarted your browser, the first thing to do is to go to the options to see if there are any adjustments or modifications that you would like to make. 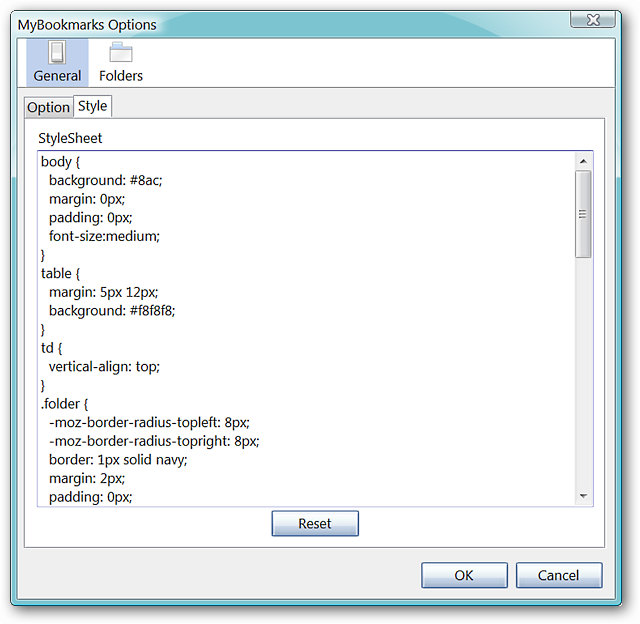 Here you can specify the number of columns, title length for bookmark names, choose options for opening links, favicon display, inclusion of Live Bookmarks if desired, activation of layout modification, and the folder groups to be included. 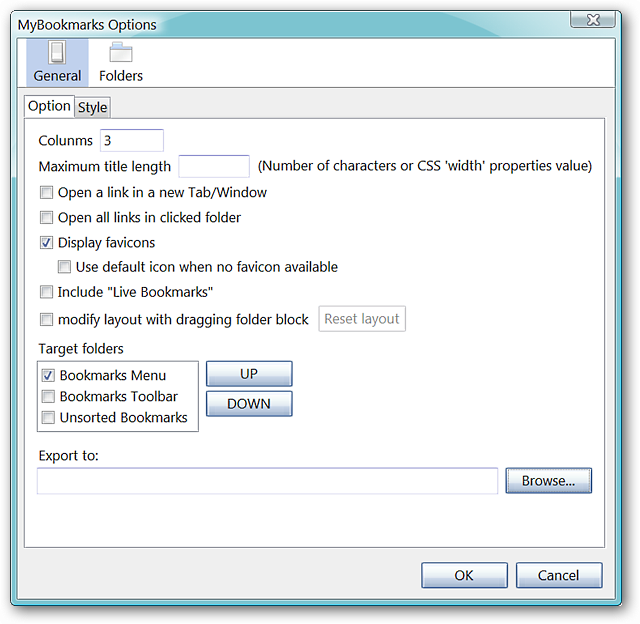 If you love the idea of customizing how your MyBookmarks page looks, you will be able to make all sorts of tweaks in the Style Sheet for the extension. Notice that there is a “Reset Button” if something gets messed up or you decide that you like the default look best (terrific!). Here you can personally select the folders (and subfolders) that you want to have included or excluded in your MyBookmarks page (definitely nice!). Note: Folders shown are from our browser’s bookmark library. What Does the MyBookmarks Page Look Like? This is what our MyBookmarks page looked like once we accessed it (very very nice!). The wonderful thing about this extension is that you can set the MyBookmarks page as your browser homepage (or as one of multiple homepages). 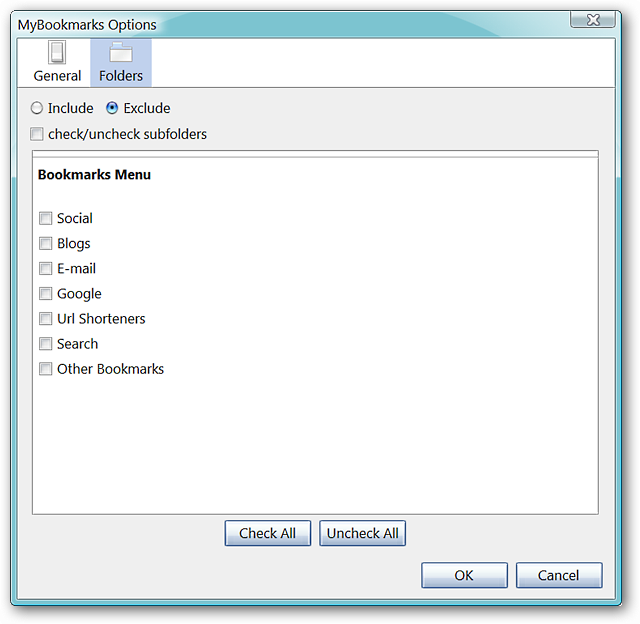 Note: To add MyBookmarks as a homepage, use “about:mybookmarks” as the address. 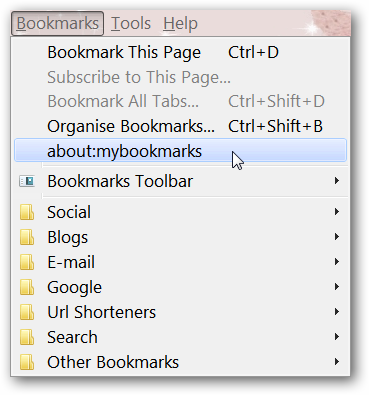 MyBookmarks provides a fun and creative way to display and access your bookmarks. This is definitely a recommended add-on for anyone who wants to express their personal style and enjoy bookmark access goodness.